Gift Guide #2: Your Goofy Kids Who Sing in the Bath and Write Earnest Fan Letters to the Cast of Full House. 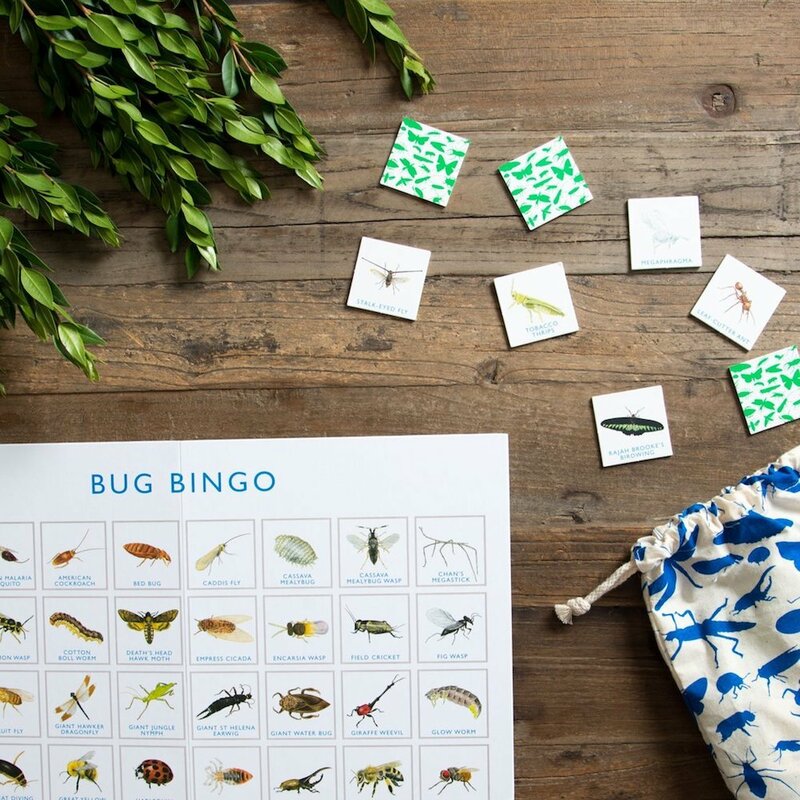 Bug bingo, $27, for heart-pounding fun. Pearl wishing bracelet, $16. Leave it on until it falls off and your wish will come true. 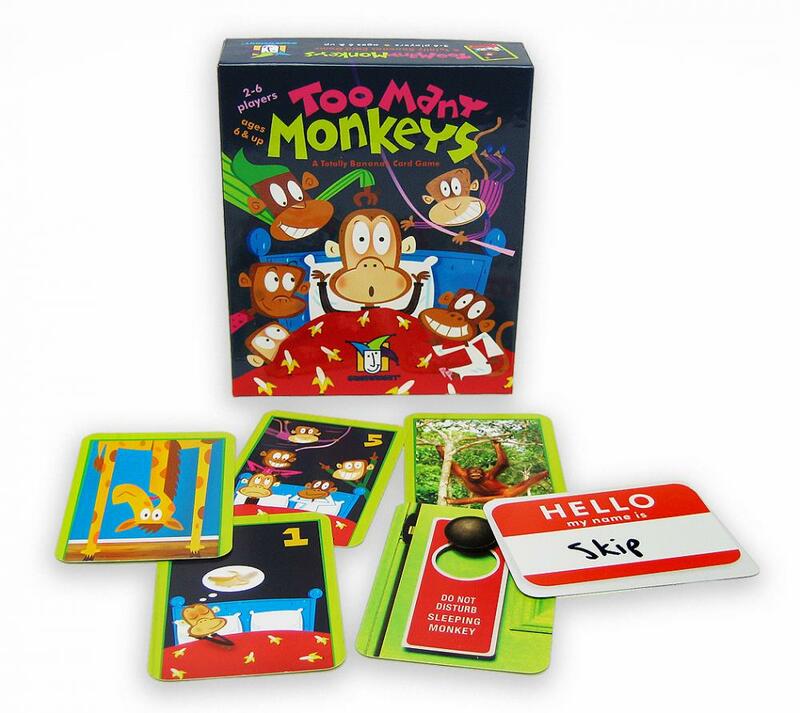 Too Many Monkeys, $10, a game that’s fast and fun for kids and adults (no but for real). 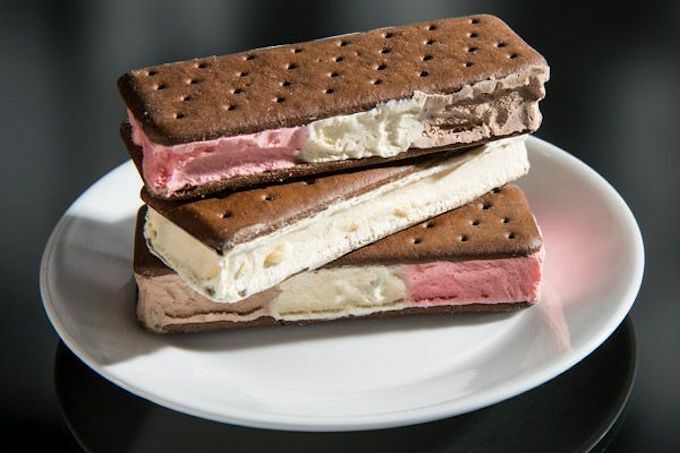 Astronaut ice cream sandwich, $4, a childhood tradition. 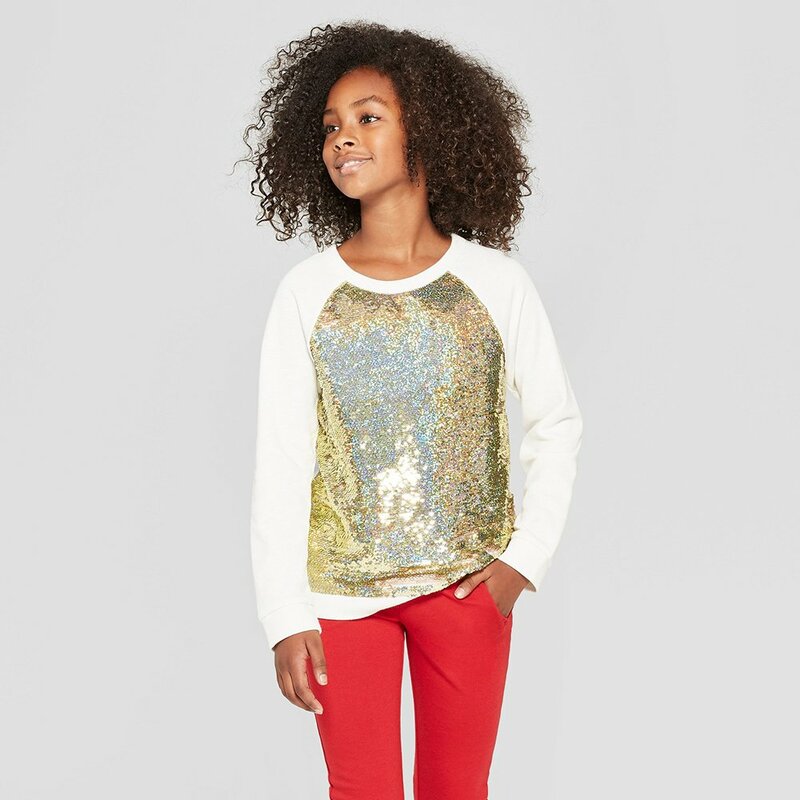 A flip sequins shirt, $15, because they’re just cool. 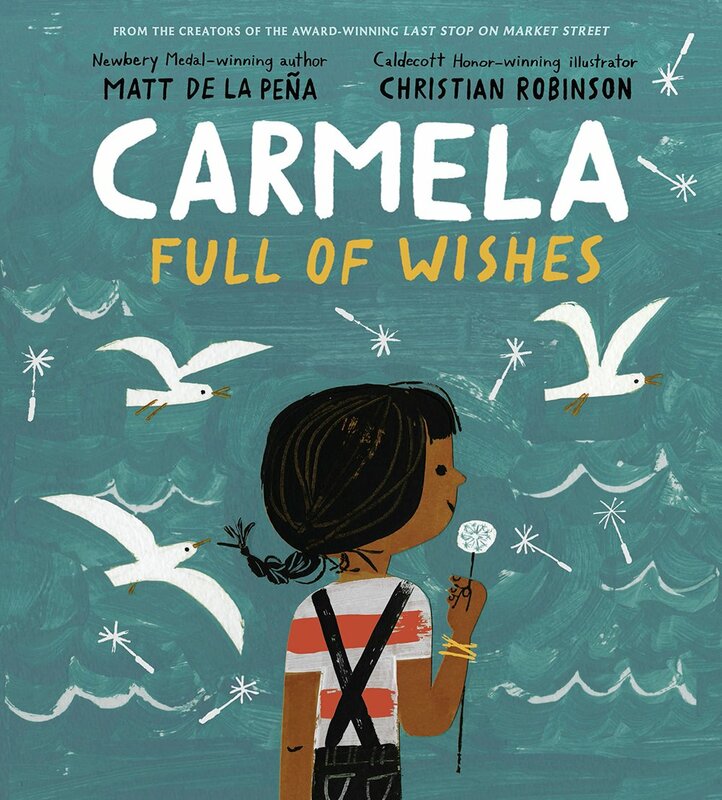 A few of the year’s loveliest books, like Carmela Full of Wishes, Julián Is a Mermaid and Juno Valentine and the Magical Shoes. $12 to $14. A plant, $19. Toby got one this year and he adores it. He keeps it in his bedroom, waters it every Sunday and named it Jackson. 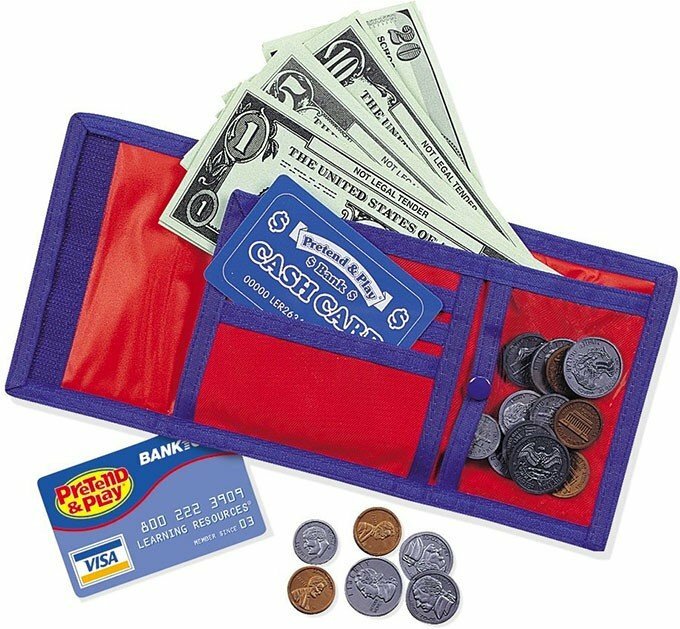 A wallet, $9, to feel grown-up but still be decidedly little. P.S. This year’s gift guide so far, and last year’s gift guide for kids. There’s been Monopoly for the real estate tycoon wannabe, Operation for the surgeon wannabe. How about the first legal-themed board game for the lawyer wannabe? LAWSUIT! board game is for kids ages 8 and up. 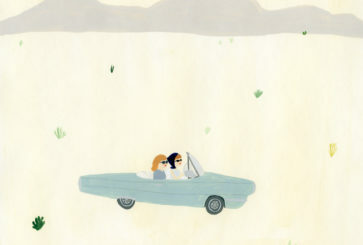 It’s beautifully illustrated and all of the proceeds go to Families Belong Together. 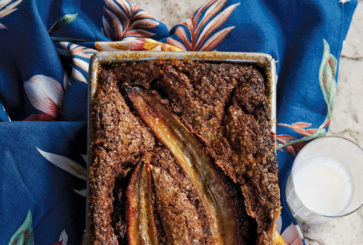 This would be a lovely gift to add to your Holiday Gift Guide. 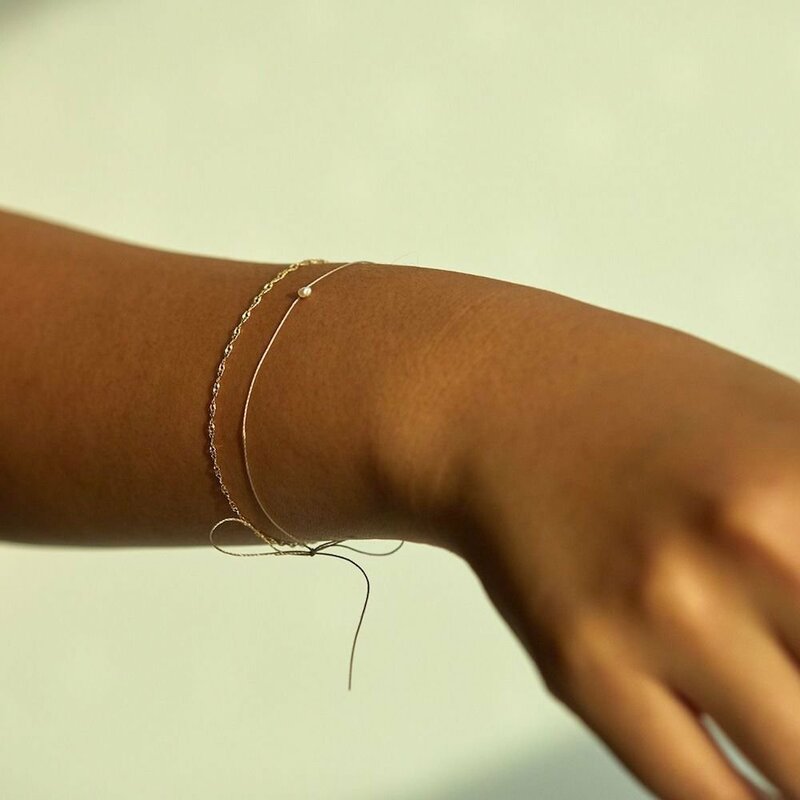 I bought the little pearl wishing bracelets from Catbird for my 11 year old to give to her besties but I was disappointed when they arrived….they are literally microscopic….the picture shown is deceiving in my opinion. Would love a pre-teen gift guide! For my niece, I want to make this a “costume Christmas” and I was looking into buying something like this superhero cape from the superhero supplies store: https://www.superherosupplies.com/collections/costumes/products/capes-cosmic-silk. I was wondering if anyone had other recommendations for good sources of kiddo costumes for ~4yos. I love that Toby named his plant Jackson! 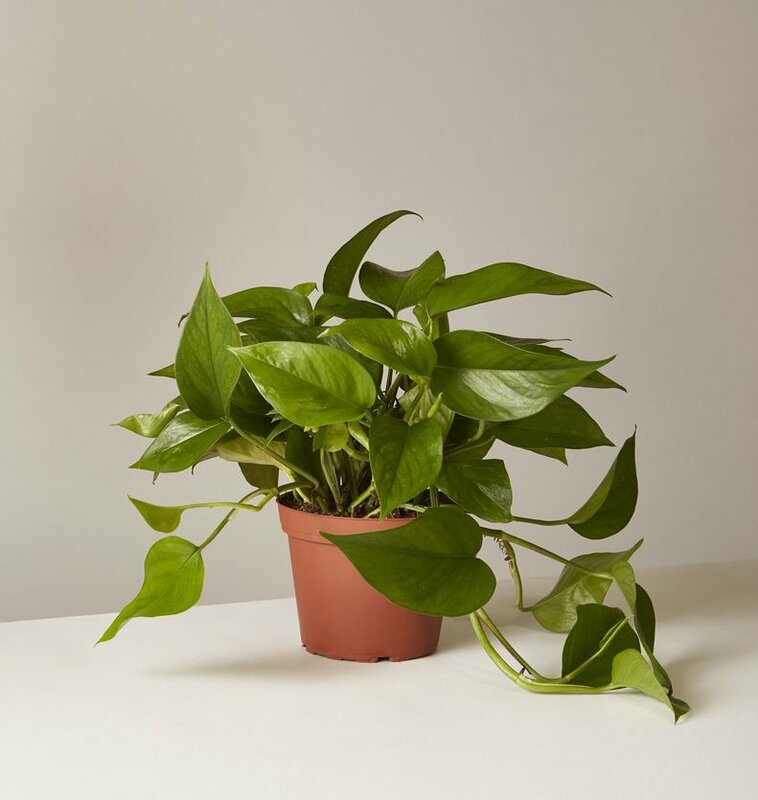 I have a philodendron, and named it “Phil.” Much less creative! I split it at one point and let my daughter put one of the halves in her room. She loves it! I love the list! 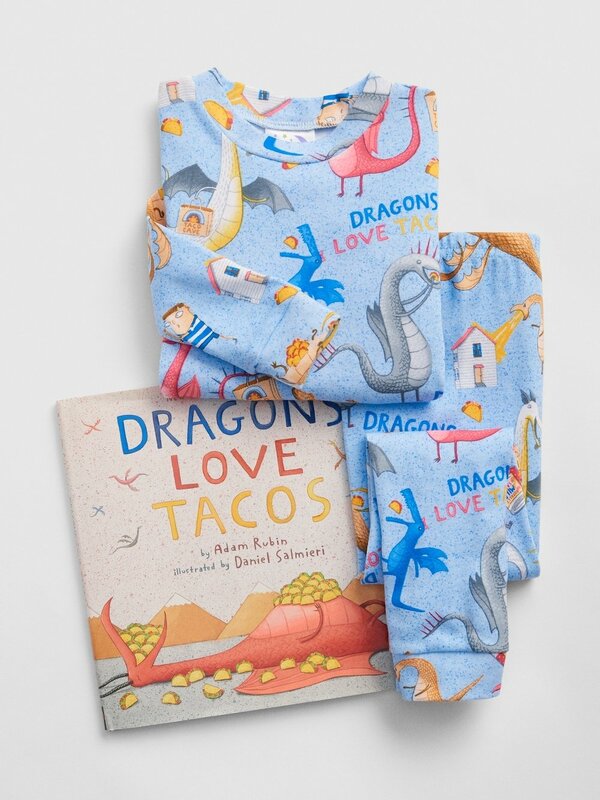 It frustrates me that the site for the pajamas calls the Dragons love Tacos and Goodnight, Goodnight Construction Site ones for “boys” and the Angelina Ballerina ones for “girls.” But I appreciate you not doing the same, Jo!! UGH!!! that frustrates me too! I understand labeling for navigation ease but as a mom of a princess, unicorn, sparkles, pink loving son we have taught our kids that in our family there aren’t any boy or girl toys or clothes. If they just labeled by color schemes it would be so much more inclusive. So I think Caboodles really are back. My 14 year-old just got one and loved it. Then she tried to get a second while we are at Target. I thought she wanted it ironically, but she wanted it truly. Jackson the plant! That is the cutest ever. Jo, I absolutely love that this gift guide is for all kids, with no mention of gender-specific items (“for little boys,” “for little girls”). Quietly and sweetly, you are working to erase gender bias with your own kiddos and in this community. Cheers to you. So lovely. Thank you COJ team. I second this! Although my newly minted 14-year-old would love a Caboodle. I want to read the earnest letter to the cast of Full House. Yessss! Dilemma solved! 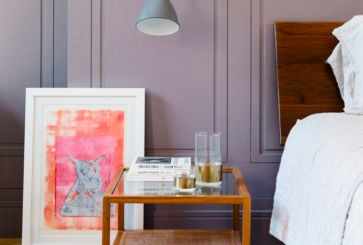 My kids both want jewelry boxes, but they are all so small – or expensive! Caboodles are the perfect solution. Can’t wait to see their faces – my eldest LOVES organizing, so she will be in HEAVEN! For 2019 we have few kids scheduled activities in order to make space for more family fun time — so Too Many Monkeys is perfect! (Also bought Spot It!). With this post, consider my kids holiday shopping (almost) DONE! Yes: Dragons Love Tacos! No: flippy sequin shirt- those kill me, all the micro plastics, such a waste, not to mention the consent issues when worn at school and people touch your body uninvited to flip your shirt. Big no on that one. As an elementary school teacher, I came to the comments just to agree with this comment on the floppy sequin shirts. Lots of uninvited touching happens with those. Caboodles! Love. And my nephews would love that monkey game. I’m REALLY loving the price point of this year’s gift guide. Can I just say that I have had a crush on Toby for years? And his pet plant, Jackson, just confirmed it for me! What a kid! Caboodles! Oh man, I still have mine that I got at a birthday party in my elementary school days. It now holds specialty jewelry. Along the lines of the wallet and plastic food, I absolutely LOVED a toy cash register when I was a kid (I actually had two I loved them so much). One was more life-size, and the other mini with a teeny conveyor belt and handheld scanner that beeped! I may have shed a tear when they finally got sold at a garage sale (in my teens! ), but I knew some other kid would get a lot of joy from them. I also still have one that I was given in elementary school! I kept my makeup in it when I was a theatre kid in high school and now it’s holding my jewelry again. I just bought my 7 year old daughter a Caboodle this weekend and she adores it! She gasped with delight when I opened it up for her. She then spent the rest of the evening arranging it just so. I couldn’t find a caboodle back when my daughter was around this age and so I got her a tackle box – perfect for your very own, special craft supplies, personal bandaids, rocks, etc – she still has it and it’s a little bit of a time capsule of that era of her life. I can not recommend those magnetic building balls and sticks enough! My parents got me a massive set when I was twelve and I loved it. Gave it to my two nieces almost 15 years later and now they love it. A fun game I play with my nieces is challenging them each to make the most realistic *insert most complicated design* and hear nothing but silence for hours. Probably the only thing that can compete with the ipad. If your boys love caboodle‘s, get them tackle boxes! They have even more compartments! Great to store millions of matchbox cars ! Yes! Agreed. My seven year old has a tackle box for his fishing stuff and he loves it so much (rearranging where things go, what fits best in which compartment) that we’re getting him a second one for Christmas for all his tiny treasures that don’t really have a good home. I will definitely stick to a caboodle (GREAT IDEA BTW) for my son who would love the mirror and the prettier color combinations over a tackle box thank you very much. “He waters it every Sunday and named it Jackson.” Ha!! That is too, too cute. I’m off to name my plants now. ;) What a darling gift idea! Something about taking care of another living thing makes kids feel so grown up. So sweet. I LOVE Primary clothes for kids! We are in love with their ponte pants — the perfect combination of looking nice + playability. 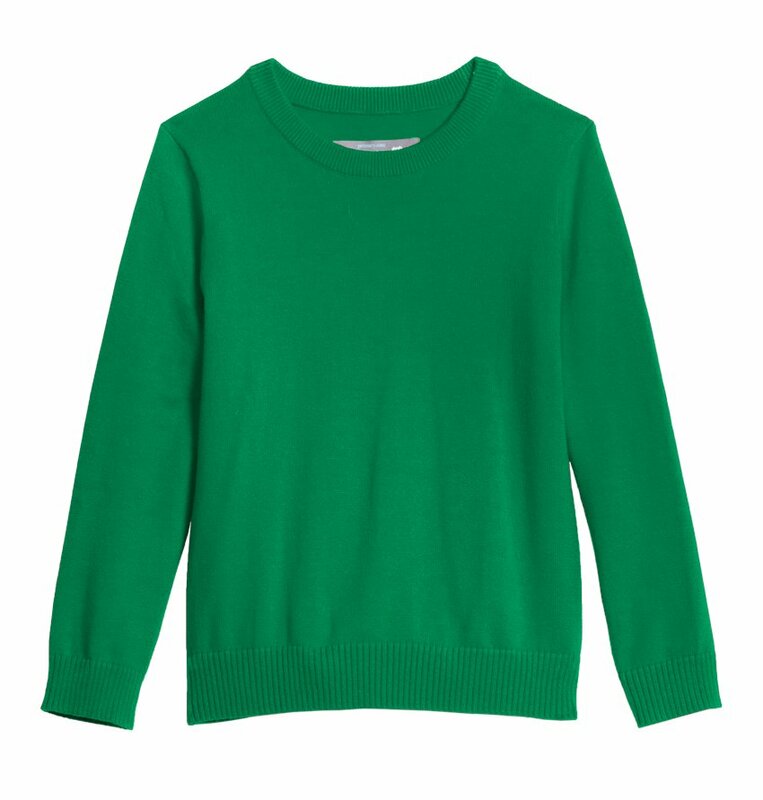 Anyone else desperately wish they made grown up sizes? I want a lot of those outfits for myself! Haha Caboodles! We came across one at Target the other day (they had it in the Women’s clothing section) and my son went bonkers over it! He kept opening and closing it, and trying to figure it out, so much that he had a tantrum when I tried to pull him away. He likes toys that transform so I guess it kind of falls in line with that! What a great idea. 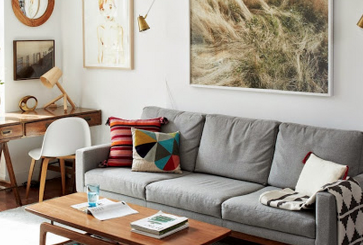 Oh I love these ideas! 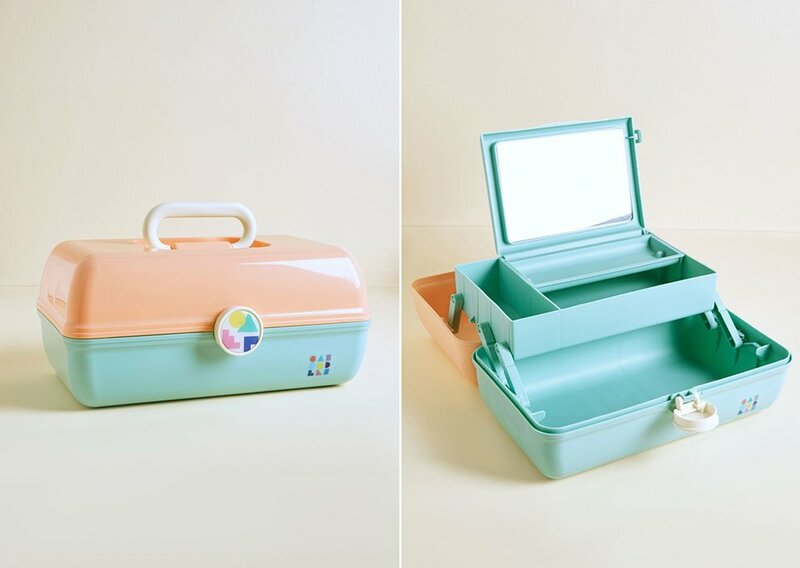 Totally getting caboodles for all my kids—perfect for storing all those tiny treasures! Someone upthread mentioned Zoobs which my kids have loved! Check out Zoobs (on Amazon), they are for building and my 4 and 7 year old boys are OBSESSED. I love them too because they are larger & easier to clean up than Legos. Sometimes I even share some with my 3 kids. All that to say that I will be buying a Caboodle to stash all of my stickers! Dragons Love Tacos is hilarious. One of my all time favorite silly read alouds from when my boys were little. Caboodles! 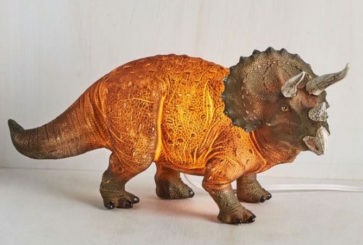 I loved mine in junior high, but never thought of getting one of the new ones for my 6 y/o son — but you’re right, it’d be PERFECT for corralling all his rocks, bouncy balls, goodie bag toys, notes, souvenirs. The lunch box he’s been using is stuffed to the gills and he won’t get rid of ANYTHING. 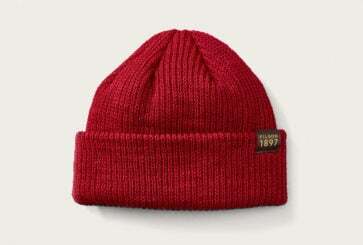 Ordering now! Would love to see the full house fan letters!! O. M. G! I had that EXACT Caboodle when I was 13! And we LOVE the Dinosaur’s love Taco’s book. Check out the sensitive plant — the leaves fold when touched. 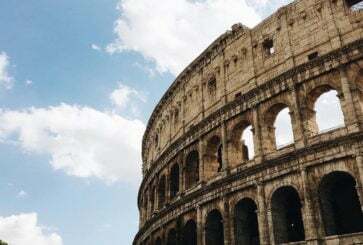 It is seriously the coolest thing – even impressing my 14 year old son! A Caboodle?! I want one, and I’m 33 years old. I love everything except the bracelet. Subconsciously teaching that littering is okay by wearing disposable jewelry just seems weird. I love the bracelet but my 5-year-olds are too literal so they will inevitably wish for something bit like a horse and then will be so disappointing when it doesn’t come true. Don’t even get me started on the dream catchers I brought them back from Sedona over the summer. Parenting fail. My favorite Christmas present was a plastic food set I got when I was 4. 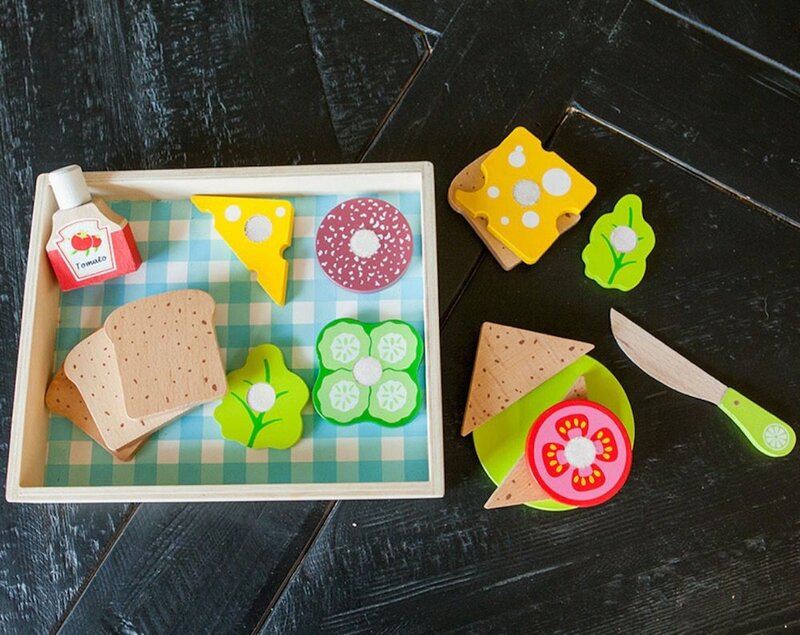 I spent YEARS playing with them, taking them apart, making menus for them and bugging my parents to order something. I still have my chicken legs, hot dogs, hamburgers, pastries and condiments. :) Definitely a great gift! Also, I had a fuchsia and teal Caboodle until maybe 10 years ago when I put it away, and ever so often I wish I still had it! So useful. So ’90s. 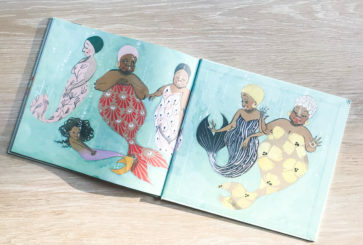 I love mermaid pillow and mermaid stuffed animals, but to be honest, the idea of a mermaid shirt kind of worries me, because I just picture people (even friends or relatives) coming up to her and rubbing her chest to play with the sequins. As the mother of an 8 and 10 year old, this was perfection. I want to grab a couple of those sweaters. I just came to the comments to say how brilliant the Caboodle idea is…and everyone else has commented the same thing. Clearly a winner! Wait…….Caboodles are back?! Hooray! I loved mine when I was a pre-teen. It was purple and I used it to hold craft supplies and then makeup. I wish I still had it! I am also excited to check out 5he picture books you recommended. Thanks! My girls had Caboodles way back when and they loved them. 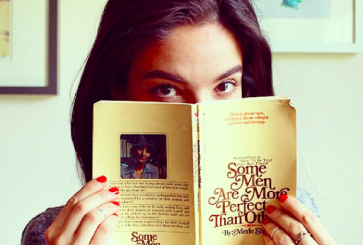 You can’t go wrong with books and pajamas. I make my girls and my son-in-law flannel pj pants every year for Christmas. I’ve been doing it for years for my girls and when my youngest got engaged, I started including her fiance and now he’s my son-in-law. I bought myself a Caboodle a few months back. Although I was a teenager when they were first popular, I had no need for one. Now, it’s my makeup holder. I don’t have a lot of makeup, but I like that everything is all together now. haha i love them so much!!! it came as part of a press kit (for these razors: https://mybillie.com/) and everyone in the office was SO delighted. Did you interview my 7 y/o twins for this post?!? They would go crazy for a caboodle (thank you for this idea! ), they just got flippy sequin shirts for their birthday and are over the moon for them, and they have been asking for plants. Oh, and my aunt thrilled them a year ago when she gave them each a wallet with $25 in it. You nailed it with this one! Caboodles? I think I just list MY mind! CABOODLES! I haven’t thought about those in, oh . . . over 25 years! I was obsessed. My girls will be getting these one day when they are a little older. Thanks for reminding me. Me too! What a trip to see Caboodles back!